MTV Europe Music Awards, seeking to reach a wide global audience, will feature a first-of-a-kind interactive bot on Facebook Messenger and a virtual reality edition, the network said Wednesday. The awards night, the international showcase for the music and youth channel, will take place on November 6 in the Dutch city of Rotterdam with performers to include Bruno Mars and Shawn Mendes. In what MTV described as a first-ever technology for any awards show, the gala will have its own interactive bot on Facebook Messenger. Users of the social network’s popular messaging service will be able to ask questions about the show and receive live updates that include GIF image files. We have to ensure that creative (design), content and technology come together to give our fans everywhere a tailored experience — not an amazing experience in one country and a really terrible one in another,” she told AFP. 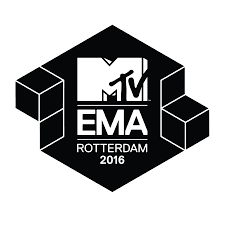 For the second year, the awards will broadcast in virtual reality with unique content available on the MTV EMA app, augmented by a cardboard viewer. The awards will also feature original material or special editions on leading social media platforms — Instagram, Snapchat, Twitter and Vine, as well as Facebook Live. Giving a more global touch than MTV’s signature US-based Video Music Awards, the EMAs will feature Brazilian pop celebrity Hugo Gloss as the night’s host on Instagram. Stars set to appear at the EMAs include Bollywood starlet Deepika Padukone and leading house DJ Martin Garrix, who is Dutch.